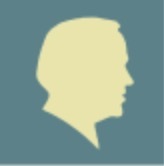 The Henry M. Jackson Foundation regularly partners with organizations through its strategic initiatives to hold forums, conferences, and other public programs in the Foundation’s four program areas–international affairs, human rights, environmental issues, and public service—Senator Jackson’s major areas of work. Our public events often feature moderated panel discussions or presentations by leaders in the nonprofit and government sector, and provide exceptional opportunities for public dialogue on pressing national and international concerns. The Jackson Foundation is pleased to work with its partner organizations to create forums for in-depth analysis and debate on critical contemporary issues.